One of my favorite moments from last Christmas was going to the Mormon Tabernacle Christmas Concert with my dad. Those few hours together were a rare treat, and we both came away feeling like we'd been given a special gift. I wish I could think of a way to describe what it's like to sit in such a magnificent building and be encompassed by glorious music, all while experiencing it with someone you dearly love. For both of us, the most magical part of the evening was when guest narrator, Tom Brokaw, shared the story of Hal Halvorsen, a pilot who helped with the relief effort to Berlin following WWII. This year, that narration has been turned into a picture book. When I saw the cover to it, I was beside myself. 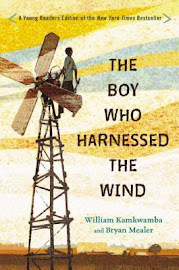 It is rather remarkable what the combination of an inspiring true story and beautiful illustrations will do to me. I was fortunate enough to receive a review copy of the book from the publisher, and I eagerly checked the mail every day for two weeks in the hope that it had arrived. My first time through it was with Aaron, and I could not keep my emotions down as I read him the story of how one small act transformed into something much bigger and impacted the lives of thousands of people . . . When 27-year-old Hal Halvorsen began dropping flour and other supplies to the people of West Berlin, he was touched by the gratitude and optimism of the children in the face of such harsh circumstances. Following one landing, he wanted to give them something special, but he only had two sticks of gum. Afraid that he might cause a fight, he still went ahead and handed the measly two sticks to thirty children and watched in amazement as they tore the wrappers into thin strips and each took a turn sniffing the foreign and delicious smell. That experience inspired Hal to ask some of his army buddies to donate the gum and chocolate from their rations to give to other children. They tied the treats to handkerchiefs, wiggled the wings of the plane as a signal, and let the treasures drop from the sky to the arms of the eagerly waiting children. Hal became known as the Candy Bomber, and before long, the operation caught the attention of many others, and donations began pouring in. The basic necessities had enabled survival, but the candy brought an even more needed hope. 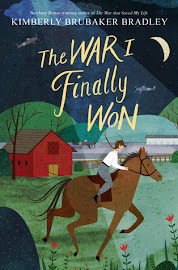 This story is no less beautiful or inspiring as a picture book than it was as a large scale performance. The text, written by David T. Warner, is actually the same as what was so eloquently narrated by Tom Brokaw. It seems to work just as well for kids as it did for adults. It is factual but simple with plenty of interesting dialogue and asides. The illustrations are wonderful. They are all done in muted, sepia tones, which lends an authentic feel to them. I especially like the depictions of Hal: with his ruddy cheeks and brilliant smile, it is easy to see why the children loved him so much, even before he started dropping candy. But what I love even more than the illustrations are the real photographs that are scattered throughout. This really brought the story to life for Aaron. He could see what the actual planes looked like; he saw the real faces of children, some the same age as him; he looked at a photo of Hal with his arms full of parachutes. And he knew that this story wasn't made up. It really happened. Included with this book is a DVD of this portion of the Mormon Tabernacle Choir Concert. I watched it and was unprepared for the flood of memories that came back to me as I remembered what it was like to sit in that very hall and watch the parachutes float down from the ceiling and gasp when the curtain fell away to reveal the real 92-year-old Hal Halvorsen. 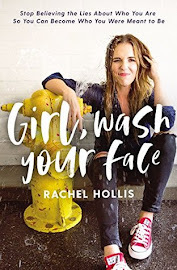 I watched, and new tears streamed down my cheeks as the beauty and depth of the story again filled me with joy and hope. I think another reason this story is so perfect is because it feels applicable. Hal's father always told him, "From little things come big things." Handing two sticks of gum through a barbed wire fence felt like a little thing. In fact, it was so little, Hal almost didn't do it. But that one small act grew and snowballed and ended up helping many, many children. This story is applicable not because I'm going to do the same things as Hal Halvorsen but because I can do small things too. I can give a present to the sweet crossing guard at Aaron's school or give a donation to the food bank or leave a surprise on someone's doorstep. I don't have to let the idea that my actions won't make a difference stop me from doing something. I am so grateful to have this book as part of our Christmas collection. Every year, we will be able to take it out and be inspired anew by what Hal Halvorsen did. I really like this quote from the book: "Day by day, the parachutes brought peace and the candy renewed hope. The children made friends of their former enemies, and their parents' hearts were softened. The wounds of war began to heal." I think in a country so devastated by war, the physical necessities were obvious. But Hal realized there was something more he could do that would replenish life-saving hope. And he did it. If you would like more information about this book or are interested in purchasing it, you can visit Deseret Book. I was generously given a hardback copy of this book from the publisher, but all opinions are entirely my own. I had the same reactions and reliving of emotions as I read the book. But perhaps mine were more powerful because I had read the book you gave me for Christmas last year (The Candy Bombers: The Untold Story of the Berlin Airlift and America's Finest Hour by Andrei Cherny). Reading that book gave me insights and perspective that make the candy part of the story even more incredible. 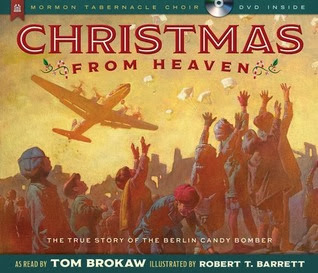 You learn more about the total devastation of Berlin, the hopelessness of the people, and the incredible miracle of the changing of hearts of people on both sides of the war because of candy dropping from the sky. The Berlin Airlift was truly a miracle. Because of the Soviets' strength and strategy it should not have worked. But it did, in no small way, because of the candy drops and the hope those little parachutes tied to candy inspired in the Berliners to just keep surviving one more day when they had nothing. Wow, Amy. I got teary just reading your review! I will absolutely have to add this book to our Christmas collection. Thanks so much for sharing it!